The story of Judith doesn't fit most traditional definitions of "mystery." It does contain elements suitable for a thriller--a brutal and lustful villain, a beautiful woman with a daring scheme, the fates of nations at stake. And someone gets killed--almost always a plus, in either a mystery or a thriller. There's no doubt about whodunit, though, or how she done it, or why she done it. Even so, mystery surrounds the story. What are its origins? Is it history or fiction? In what ways, if any, is it linked to Hanukkah--and even to Hanukkah foods? We'll get to all that. But let's start with the story itself. It's a good one. It goes back over two thousand years. There are several versions, some long and elaborate--the one in the Catholic bible, for example, is divided into sixteen chapters packed with details. I'll stick to basics, emphasizing elements that could connect the story to Hanukkah. In ancient Israel, evil Assyrian general Holofernes attacks the city of Bethulia. The inhabitants fight back and manage to keep him from taking the city, but they're too badly outnumbered to defeat him outright. Frustrated by the stalemate, Holofernes decides to starve the Jews into submission. He lays siege to the city. As supplies of food and water dwindle, Bethulia's elders and military leaders begin to talk of surrender. Judith, a beautiful and virtuous young widow, steps forward to rebuke them. God will save the city, she says. Further, He will deliver Holofernes into the hands of a woman. She puts on the fine clothes she hasn't worn since her husband's death, packs a bag with cheese and old wine, and leaves the city, accompanied only by her maid. When they arrive at the Assyrian camp, Judith demands to see Holofernes. She's realized the city is doomed, she says, and has come to him for protection. Struck by her beauty, Holofernes invites her into his tent, where she regales him with the supplies she's brought. The salty cheese makes him thirsty, so he drinks too much wine. Soon, he falls into a deep sleep. Judith prays to God for strength, takes Holofernes' sword, and decapitates him. Then she wraps his head in a cloth, and she and her maid sneak out of the camp and return to Bethulia. When Holofernes' soldiers find his headless body, they panic and decide to flee. Judith shows the head to the Jews and urges them to attack the enemy camp. They do, scattering the last of the soldiers. Bethulia is saved. Judith is too devoted to her husband's memory to remarry, but she lives a long life, revered as a heroine by the people of her city. That's the story. Now comes the mystery. Is the story of Judith based on a real event that took place during the Maccabee revolt? Opinions vary. 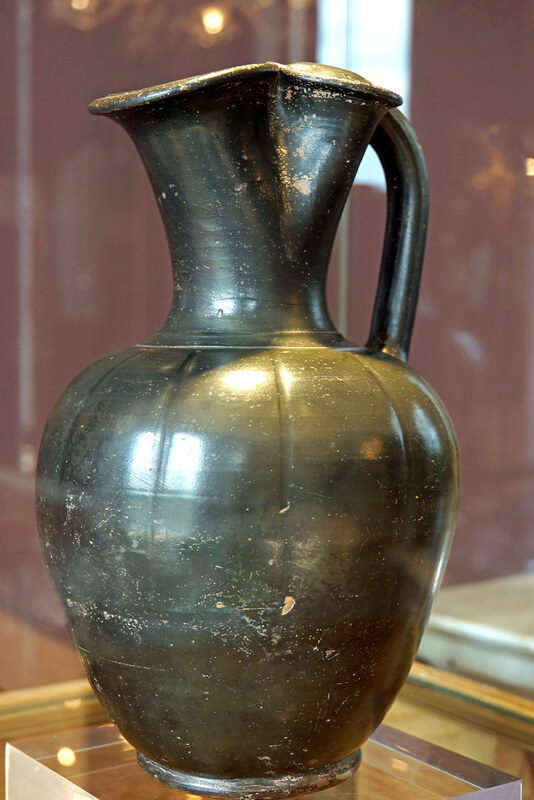 The oldest existing text of the story is written in Greek. People who know much more about such things than I do think it's probably a translation of an earlier, lost Hebrew text written around 150 B.C.E.--not long after the Maccabee revolt against Assyrian/Greek oppression. But the Greek text makes no reference to the Maccabee revolt, and it has some odd, confusing features. For example, it says Holofernes served Nebuchadnezzar, not the evil King Antiochus of the Hanukkah story. To muddy the waters further, it identifies Nebuchadnezzar as "a king of Assyria," not of Babylon. And there's little historical evidence to confirm the existence of a city called Bethulia. In Hebrew, Bethulia means "a virgin." Some see it as a poetic way of referring to Jerusalem, and some think it's a symbolic reference to Judith's chastity. 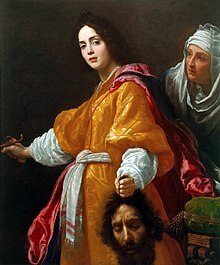 Some, on the other hand, say it's an indication that the Book of Judith is a work of fiction. In some ways, the book does seem like a fanciful reweaving of the stories of several heroic women in the Jewish bible (or the Tanakh--a Hebrew acronym for Torah, Prophets, and Writings, essentially the same as the Protestant Old Testament except that we put the books in a different order). First there's Deborah, the judge and prophet, who urges a general, Barak, to resist the oppression of the king of Canaan and his general, Sisera. Barak falters, saying he won't lead the army into battle unless Deborah accompanies him. Deborah agrees but says the glory of victory will therefore belong to a woman. Inspired by Deborah, the Jews defeat Sisera, who flees the battle. That's when another heroic woman, Yael (or Jael)--a Kenite, not a Jew--takes over. Seeking refuge, Sisera comes to Yael's tent and asks for water. She gives him milk, he falls asleep, and she kills him by driving a tent stake through his head. Finally, there's Esther. a Jewish girl who becomes queen of Persia. She's the heroine of the biblical book of Esther and also of the Jewish holiday of Purim. When wicked Haman schemes to kill all the Jews of Persia, Esther steps forward and risks her life to stop him, and the Jews of Persia are saved. It's hard to miss the parallels between these three stories and the story of Judith. But while Deborah, Yael, and Esther all made it into the Jewish and Protestant bibles, Judith did not. The Catholic bible includes the Book of Judith, but the Protestant bible relegates it to the apocrypha, and the Jewish bible doesn't grant it any canonical status at all, maybe because its basis in fact seems so shaky. Jews loved Judith's story, however, and a number of prominent Jewish rabbis and commentators mention it in their writings, saying Judith deserves everlasting praise. Jewish retellings of the story often emphasize (or invent) links with Hanukkah. Some versions of the story say Judith was the sister of Judah Maccabee, the hero of the Hanukkah revolt against the Greek/Assyrian empire. (Judith and Judah--they could be twins.) And medieval Jewish retellings add the detail about Judith feeding Holofernes cheese in order to make him thirsty, drunk, and vulnerable. 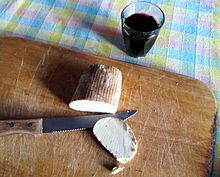 Many authorities say that's the origin of the tradition of eating cheese on Hanukkah. But, like many Jews, my family always eats cheese on Hanukkah, too--cheese blintzes, cheese pie, even grilled cheese sandwiches. This year, for the first night of Hanukkah, my husband and I had, as usual, potato latkes and a Sephardic cheese frittata. 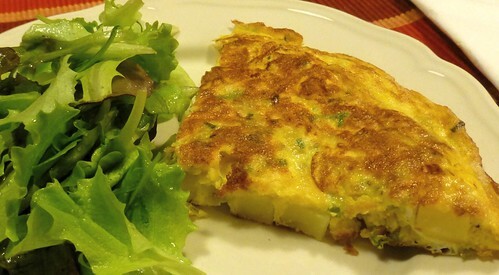 The recipe for the fritatta follows. It's simple, it's delicious, and it's baked in oil. And if the cheese makes you thirsty and you have an extra glass of wine, so what? As long as you're among friends, you should be fine. If you decide to give the recipe a try, think of Judith when you sit down to dinner. Maybe she was an actual person, and maybe she wasn't. Maybe she had something to do with Hanukkah, and maybe she didn't. Her story will probably always be wrapped in mystery. Even so, like other mystery heroines, she can inspire us with her cleverness, and with her courage. Mix all ingredients, except oil and Parmesan, until slightly frothy. Preheat oven to 400 degrees. Spread oil evenly in 9 x 13" baking pan; heat in oven. When oil is frying hot, approximately 2--3 minutes, pour batter into pan. If desired, sprinkle with Parmesan. Bake approximately half an hour at 400 degrees, until a butter knife inserted in the fritatta comes out nearly clean. Any type of cooking cheese should work. Bernice's favorite combination is grated Muenster and Romano. We also like using 1 cup cheddar, 1/2 cup fontina, and 1/2 cup Gruyere. Message from B.K. Stevens--I'm on the road and won't be able to respond to comments until late Saturday afternoon or early Saturday evening. But once I get home, I'll be eager to read and respond to them all. Judith was certainly a gift to painters, too. I read the story of Judith in the course of my own biblical and Jewish studies many years ago, although I did not know of the possible Hanukkah connections. Thanks for this post, and Chag Sameach! Fascinating research here, B.K. Thanks for doing the heavy lifting. I learned a lot. Great post, BK! I'm the gal who got Halvah in my Christmas stocking every year, such was the confusion of backgrounds in my family. I didn't know of the Judith-Hanukkah connection. Thanks for this. As your article well points out, the truth of history depends upon who is telling the story and how well that version of the story lasts. In future years, the "true story" may never be known, or it could change depending upon what other "evidence" comes to light. Thanks for the history lesson. I LOVE THIS POST!! Thank you for every single part of it!! And no, I am not Jewish. But I have read some of this story and the commentaries, and yet your synopsis and its correlation to the stories of other women heroes in Jewish history and the addition of the recipes makes it just absolutely PERFECT. (And, as an aside, thank you for pointing out how recently potatoes came to the Old World. Most people totally miss that.) Happy Hanukka to you and all your loved ones!!! I love these history lessons. "She brought him butter in a lordly dish" - no, that's Jael. But I like Judith, too - very strong woman. I remember that latke recipe, by the way, and I'd love a copy of it, too! 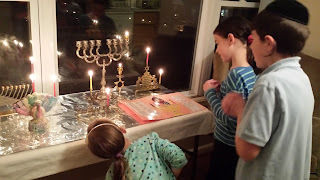 I just got back after going to Hanukkah services in Charlottesville (and doing a few other things, too). Thanks for all the Hanukkah greetings. I return those greetings to others who celebrate, wish my Christian friends a very merry Christmas, and hope the new year is a good one for all of us. Janice, you're right about painters. When I was searching for illustrations for this post, I came across a wealth of them. Some are gory--Caravaggio, for example, shows us the bloody act in progress. So does Artemisia Gentileschi, a recently rediscovered woman painter of the seventeenth century--and I couldn't help being amused to find a painting of a Jewish heroine by a painter named Gentileschi. This is clearly a story that appeals to many people, regardless of religion. Gustav Klimt did a painting of Judith, too, especially fascinating if you saw WOMAN IN GOLD (a wonderful movie, I thought). I was tempted to use Klimt's painting as an illustration but decided it might be a shade too naughty. It's not as violent as some of the others: We see just a corner of Holofernes' head. But we see quite a bit of Judith. Thanks for your comments, Larry and Melodie. I find the possible connection between Judith and Hanukkah intriguing, too. There's also another Hanukkah heroine, Hannah, whose story is told in the books of the Maccabees (which are included in the Catholic bible but not the Jewish or Protestant ones--fascinating, since Jews are the ones who celebrate Hanukkah). Hannah is a martyr who dies along with her seven sons because they refuse to give in to Greek/Assyrian demands to abandon their religion. Maybe someone, at some time, decided to balance their inspiring but tragic story with a tale of a Jewish woman who manages to fight back and triumph. David, Anonymous (both of you), and Theresa, I'm glad you enjoyed the post. Anonymous, I'd never made the connection between latkes and the recent introduction of potatoes to Europe until I started working on this post. I'd heard, from time to time, about potatoes being brought to Europe from South America, but I'd never put things together and realized that must mean the first latkes must have been made from something else. This recipe appeared in “Death on the List” (Hitchcock’s, January 1999). Latkes are a traditional Hanukkah dish—a simple dish, but it can easily go wrong. If you use a food processor to grate the potatoes, the latkes can be mushy. If you don’t rinse and soak the grated potatoes and then apply some muscle to squeeze them out thoroughly, the latkes can be heavy and starchy. And if you don’t add a little lemon juice to the batter, it can turn gray unless you fry the latkes up immediately. But if you take the little bit of extra trouble involved in doing things right, your latkes will be light, golden, and delicious—just like Leah’s. Grate potatoes by hand, rinse in cold water, soak in bowl of cold water, rinse again, and squeeze all the water out. The grated potatoes should be snowy white. If there’s even a trace of pink, rinse, soak, and squeeze again. Beat eggs well; add matzo meal, salt, pepper, and lemon juice; mix well. Drop batter by tablespoonfuls into hot vegetable oil, making latkes about 3” in diameter. Fry until underside is browned; turn to brown again. Serves six. Many people like to serve latkes with applesauce, sour cream, or both. *Most people use white onions and grate them, and that’s good, too. But I like the little bit of crunch you get with green onions. (dryly) Could be another reason Judith found it a little difficult to remarry after moving ‘ahead’, so to speak. Come to think of it, a Judith I knew was… Well, never mind. But she made good pierógi, so there. I’m up for cheese or potato anything. 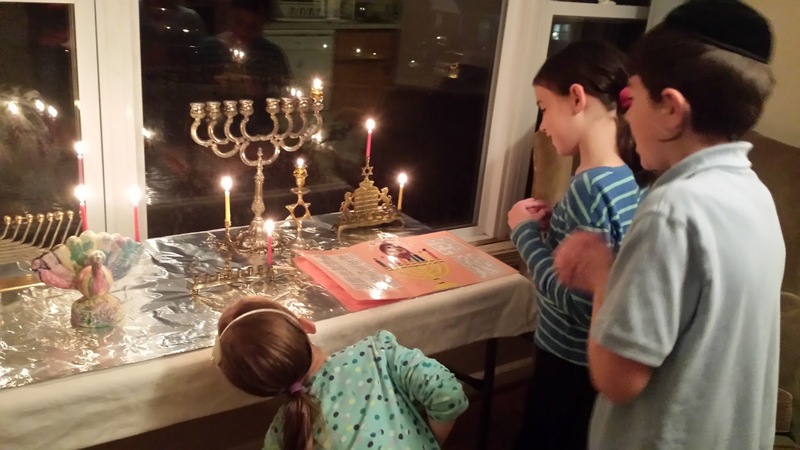 Like Melodie’s family, mine celebrated Christmas and Chanukah together. The star above our Christmas tree was a Star of David. I see what you mean, Leigh. Given Judith's history, it might be hard for a husband to relax after having a spat with her: "That's all right, dear. You can let the lawn go for another week. Just stretch out on the couch and watch the game. Have a few beers. Here--I made you some nachos." Over the years, we've often managed to find special holiday cards to send to friends who celebrate both Christmas and Hanukkah. My favorite had the greeting, "Deck the halls with boughs of challah," with an appropriate illustration.